The district maintains three well equipped rescue engines outfitted with a variety of suppression appliances and equipment. The district also has a 2500 gallon tanker that responds to areas of the district without fire hydrants. All firefighters are required to participate in live fire training at least once a year and many have obtained advanced firefighting and fire officer certifications through the Office of the Illinois State Fire Marshal. All career firefighters are certified by the Illinois Department of Public Health at the level of EMT-Basic at the minimum. The district provides non-transport basic life support service with transport and advanced life support service provided by two ambulance providers, one private, and one hospital based. Protection through prevention is a motto that the district embraces. 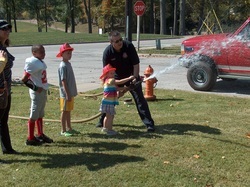 GFPD participates in several public education events every year, especially during October which is fire prevention month. The district has two Public Fire and Life Safety Educators certified by the Illinois Office of the State Fire Marshal. If you would like to know more about our public education program please email our public education officer. 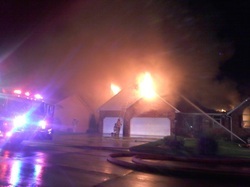 When disaster strikes Godfrey Firefighters respond. The fire chief is the designated emergency management coordinator for the Village of Godfrey and has a great working relationship with Madison County Emergency Management Agency and Illinois Emergency Management Agency. Godfrey does not have warning sirens and residents are encouraged to sign up for the Code Red notification service, that is free of charge. If you need assistance signing up, feel free to stop by either fire station. Three rescue engines and the light rescue are equipped with hydraulic rescue tools for vehicle extrication. 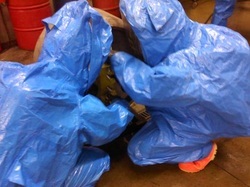 All Godfrey firefighters are required to complete intensive annual training on vehicle rescue and extrication. 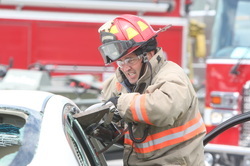 Several members have obtained certification in vehicle and machinery operations and have attended training courses on new car construction, school bus extrication, and hybrid vehicle rescue. Five firefighters with GFPD are members of the MABAS 35/Madison County Hazardous Materials Response Team. This highly trained group of firefighters from throughout Madison County are required to be state certified hazardous material technicians, level B. 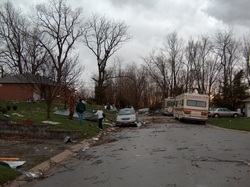 The team is ready to respond anywhere in the county as well as throughout the State of Illinois to mitigate any hazardous material emergency. 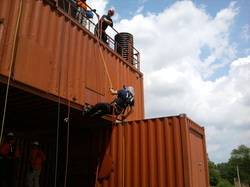 The district has a technical rescue program with core competencies in rope and confined space rescue. GFPD has three state certified rope rescue technicians as well as several other members with rope rescue and confined space experience and training. GFPD has been available for ice rescue for several years. 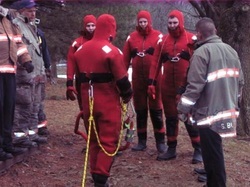 Special ice rescue suits and equipment allow safe, effective, and quick response to persons that have fallen through ice in the areas several ponds, lakes, and other bodies of water. GFPD conducts over 300 business inspections annually for the Village of Godfrey under the 2009 edition of the International Fire Code. In addition, we have skilled personnel that perform new commercial construction plan review as well on-site inspections and verification.